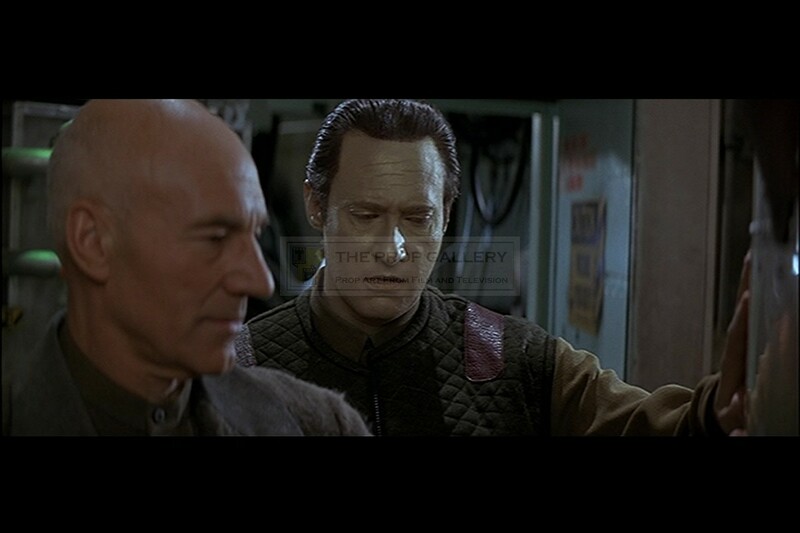 An original costume used in the production of Star Trek: First Contact, the 1996 science fiction picture directed by Jonathan Frakes. 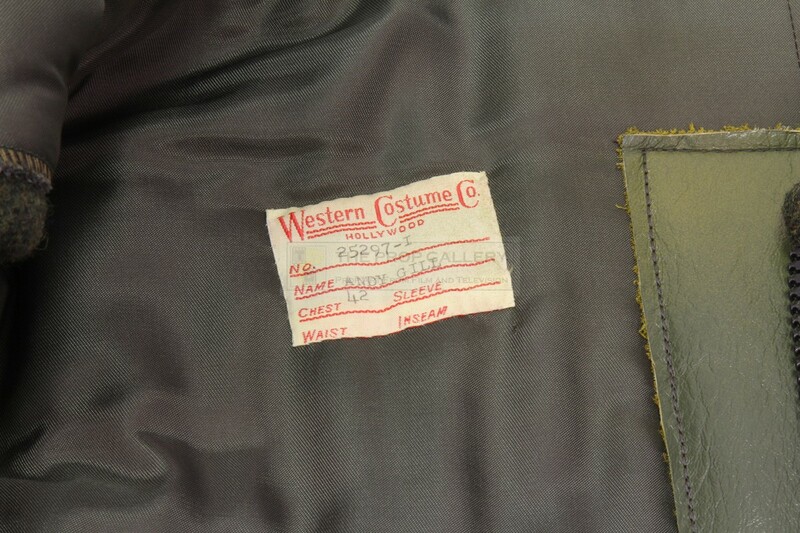 This costume was bespoke made for the production by leading industry tailors Western Costume for use by stunt performer Andy Gill who doubled for Data (Brent Spiner). The three piece costume comprises of gold black patterned shirt, mustard coloured suede trousers featuring a black harness and a heavily padded green bodywarmer with leather shoulder detail. 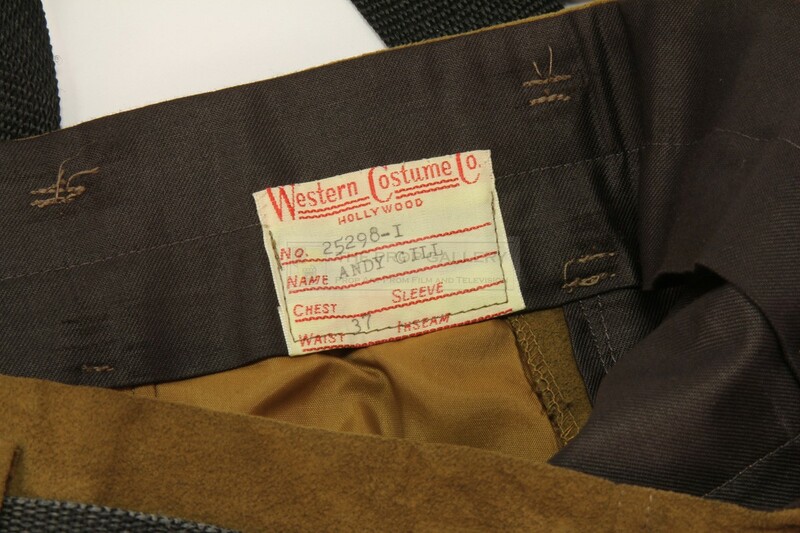 All three costume elements exhibit minor intentional production distressing to appear used with both the bodywarmer and trousers featuring Western Costume labels which are type written 'ANDY GILL' with sizing information below. The costume remains in excellent production used condition throughout with aforementioned intentional distressing, very fine. 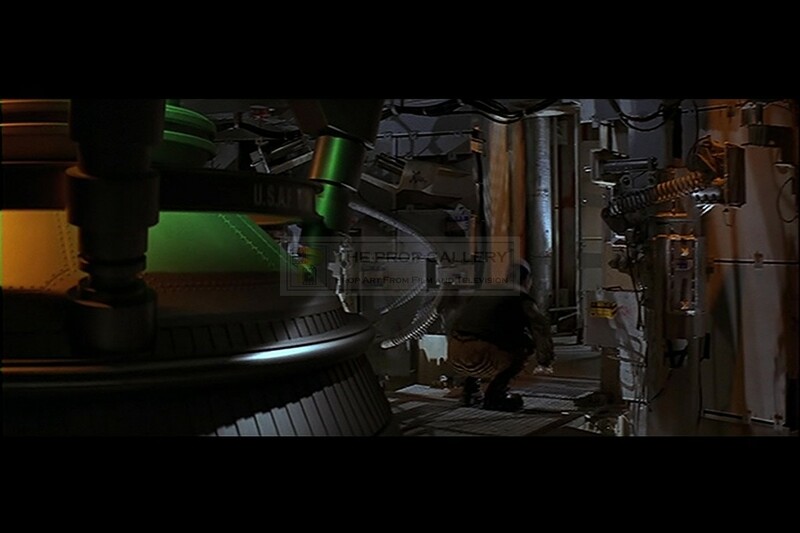 A fine example of original wardrobe from one of the most successful film franchises of all time.